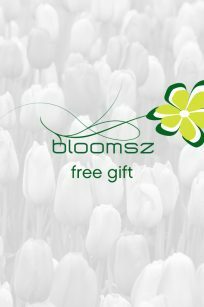 bloomsz LLC, a sales and marketing venture backed by industry veterans and capital financing, is dedicated to bringing our customers the best possible prices on our brand-name products. The past decade could be described, to say the least, as difficult. Nevertheless, from those challenging times and economic struggles, opportunities grow and improvements are formed upon the entire supply chain. We intend to capitalize upon a new way of doing business, with speed, efficiency, low overhead, and the best in quality programs. Our goal is to deliver increased VALUE through technology, logistics, quality, and economies of scale, while working together to cut cost. Our core product line consists of our world famous Dutch flowerbulbs and domestically grown products. Also included are Paperwhites from Israel, edibles from the United States, and Amaryllis from Holland, Brazil, and South Africa. New are our water plant program and our edible citrus, olive and blueberry shrubs. We provide an extensive selection, with the confidence of a product guarantee. Materials will be processed and sourced in locations where it is most efficient and logical. Other products will be added at certain times according to seasonal opportunities. The company bloomsz is built upon the pillars of People, Planet, and Profit. Moving forward, we are confident we can offer you “game changing opportunities” with our new multi-lateral vendor co-operation under the bloomsz LLC umbrella. Our expertise is to supply retailers that concentrate on the North American market. New concepts and products will lead the way to a brighter future with an increased profit potential for all. Our straight-forward operating philosophy is to keep costs down and pass the savings on to the end user. Our co-operation and partnership with other leading companies, combined with our never-ending quest for efficiency, result in the best possible prices in the entire supply chain. Our Mission is simple: provide increased value to the ultimate consumer. With this goal met, everything else will fall into place.